To empower all children and families to reach their goals, will foster strong relationships, offer multi-generational support, and provide family, education and health services. Head Start partners with parents to support their role as the primary decision makers for their children. 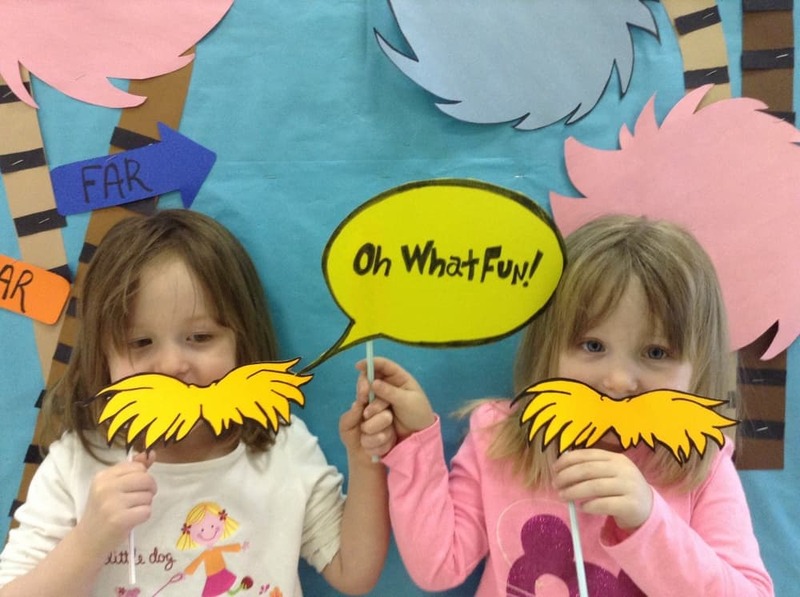 Head Start activities help to develop social skills and encourage an excitement for learning. 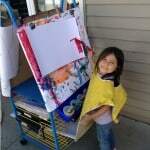 Children develop skills that prepare them to enter kindergarten with confidence. 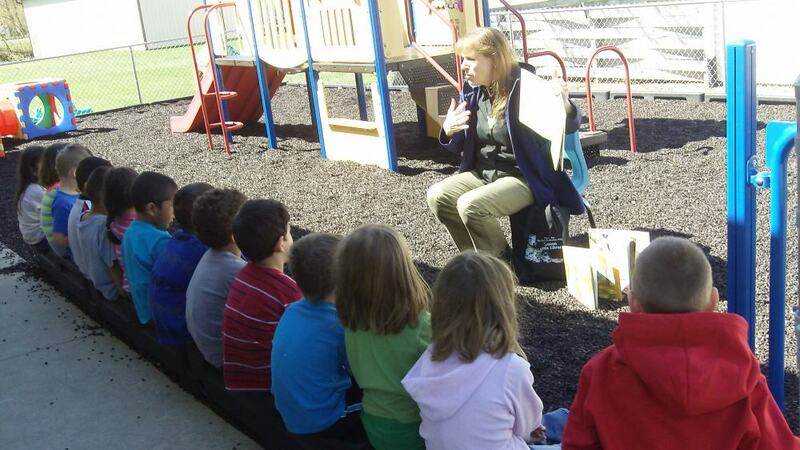 Center-Based: Head Start center classes are offered 4 days per week, in a classroom setting. Head Start for preschool age children, 3-5 years, operate September – May. 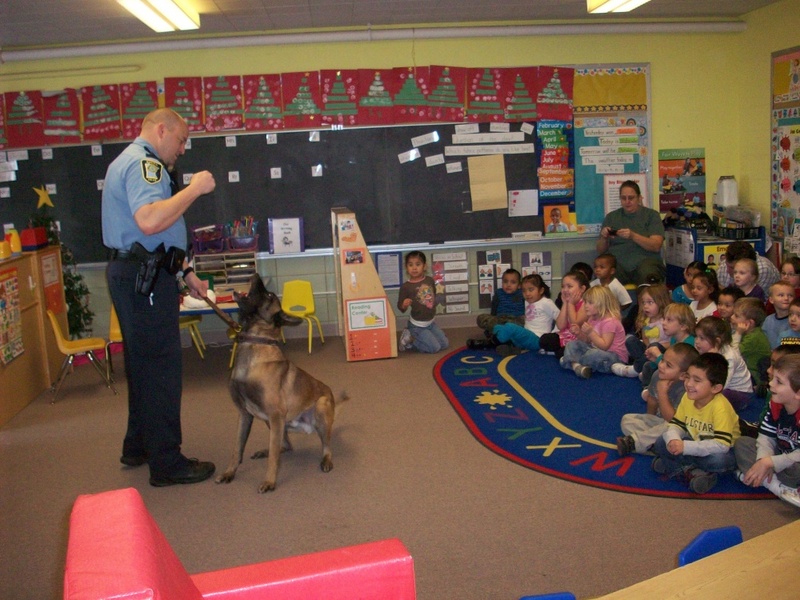 Sixteen Head Start classrooms are located in the 6 counties of Dodge, Fillmore, Houston, Mower, Steele and Winona. 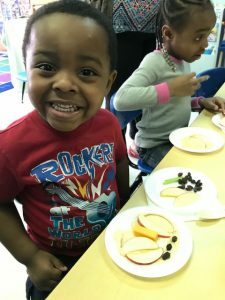 Early Head Start has toddler classrooms located in Austin and Winona, which operate 4 days per week, and are year round for children 24 – 33 months old. All sites operated by our program are licensed with the Department of Human Services. Home – Based: Home-based educators travel, weekly, to the homes of enrolled pregnant women and homes with children ages Birth – 3 years of age. Additionally, there is a socialization event at the center nearest the family, every two weeks. Home-based services are offered all year in Fillmore, Houston, Mower and Steele counties. 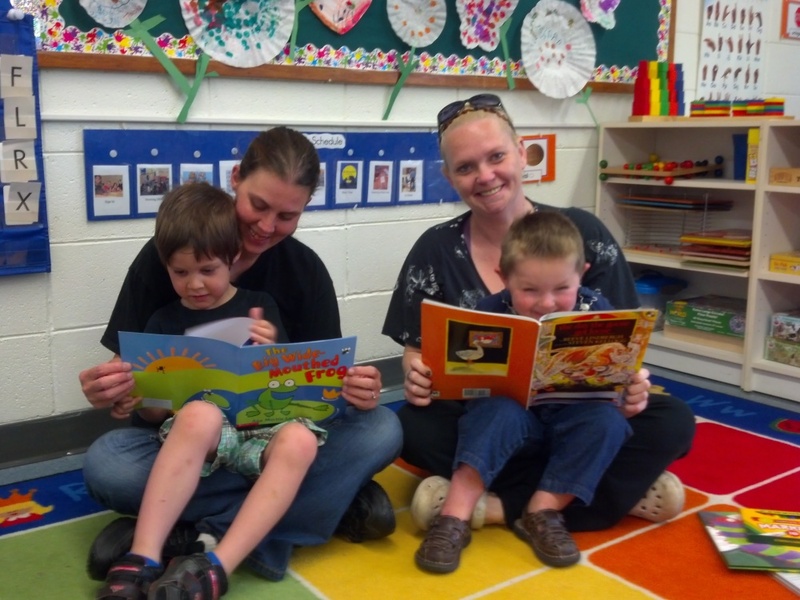 Read more about Head Start Services. Completing this application does not guarantee your enrollment. After completing this application, contact the Semcac office in your county (Semcac County Contact Center). Please read instructions in the beginning of the application. Why is Head Start Unique? Support for healthy parent – child relationships. 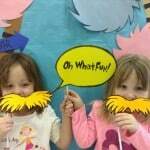 Quality learning activities that prepare your child for kindergarten starting as early as possible. Teachers have a full set of credentials related to child and family development. They are well-qualified and licensed to support your child, including those with special needs. Medical, Dental, Nutrition and additional comprehensive services are offered for the wellbeing of the child – promoting healthy living for the whole family. 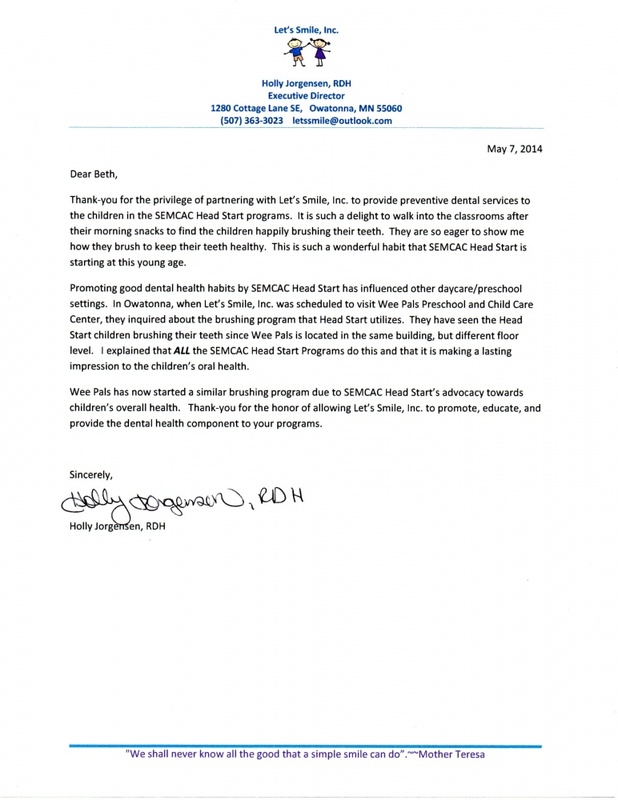 We also partner with dental hygienists, for example: We have a successful dental hygiene partnership with Let’s Smile, Inc.
Support for parents/guardians to strengthen the family and achieve goals. Opportunities for family members to volunteer and be involved in program decisions. Environments that are clean, safe and well- equipped. Opportunities for family members to build support systems. 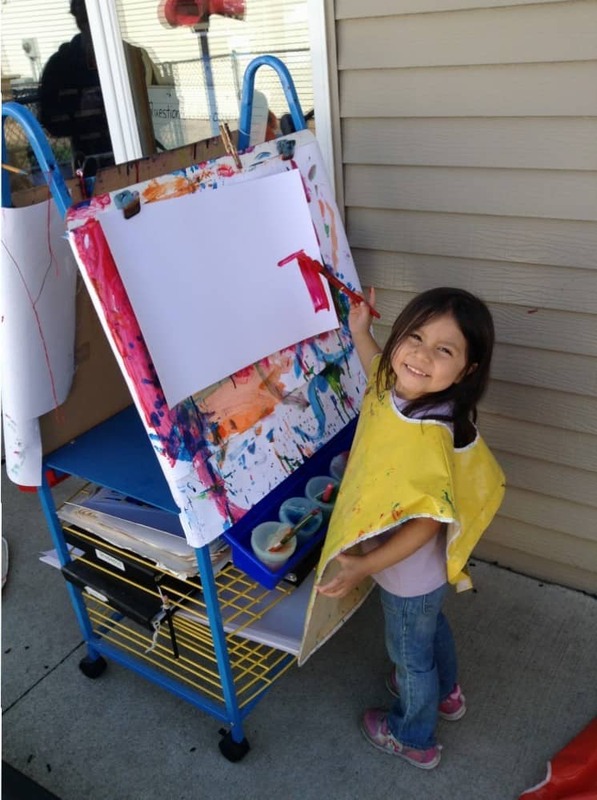 Head Start conducts a regular Community Needs Assessment to learn what the current and greatest needs are in the area. View a video to learn more about how Head Start provides comprehensive services to children and their families. We are always receiving success stories from Head Start families and staff. Below, we are sharing some of the most recent stories about Head Start has empowered children and their families. Watch a video about how Head Start works for developing Pre-K Math Skills! Contact Information for Head Start – located in 6 counties. Contact the number below to receive and submit a Head Start application. Apply now- Space fills quickly!